April 18th to 20th was filled with the sharing of non-traditional ideas, some challenging conversations and hands-on learning, all in an effort to Do Thrift Better. 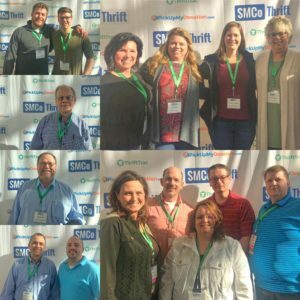 And while the most recent SMCo Thrift National Conference built upon the foundation of previous events, it certainly had its own “flavor”, due in no small part to the people who attended. Those who participated came from coast to coast – California to New York, Minnesota to Texas, and many places in between. These leaders represented organizations with multiple stores and millions in sales to those who are investigating thrift as a way to support a non-profit. The diversity in experience provided some lively interactions, particularly during the networking event at Windows Over the Park. It was one of the highlights of the event mentioned by many. As with previous SMCo Thrift conferences, the content challenged traditional thinking in six key areas. The following comments include some key takeaways. The most valuable thing I learned was the perspective SMCo Thrift has on donations. Prioritizing donation streams and donor relationships helps to guide all other decisions made in the thrift industry. I have been searching for a resource that explains how to run a non profit thrift store with business principles. I learned many things about the unique business model required for thrift stores. Donors are the most important people to your business (not shoppers) and you can’t manage what you don’t know. The collected feedbacks shows the conversations surrounding donations and metrics were the most impactful for the majority of attendees. The conference started some great conversations. And we’re excited about continuing them, be it in a group coaching session or during a visit. 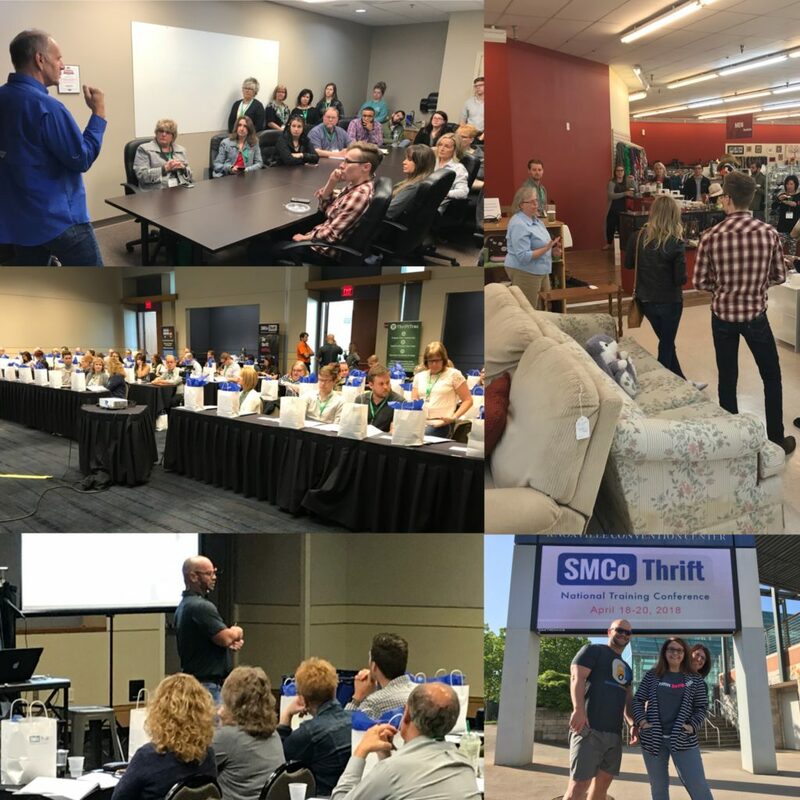 Regardless, we’re already looking forward to the next SMCo Thrift National Training conference on September 26th to 28th, 2018.